Mortimer's homebound journey continues in Mortimer Beckett and the Lost King, the thrilling new chapter from the much beloved and award-winning hidden object series! 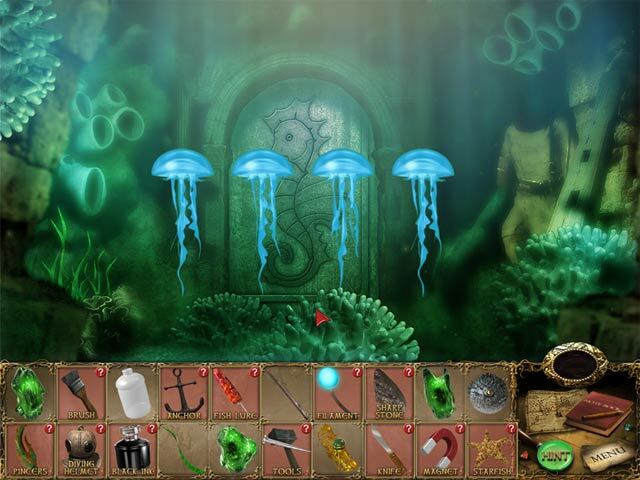 Meet the odd inhabitants of a bizarre world and help them find their Lost King. Please note: due to its large file size, this game may take longer than normal to download and install. 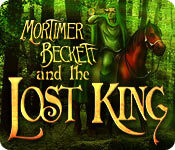 Mortimer Beckett and the Lost King is rated 3.9 out of 5 by 10. Rated 5 out of 5 by FishyFemale from A Delightful Surprise For An Older Game What a fun game! I've never heard of this series before and I don't care if it's an older game....it's different from all the copy cats out there and that's what I like about it. Some find it very easy. And some of it is but other parts are very challenging. Some objects are hidden in plain view while others are hiding behind other things and you need to perform a series of moves to get to those other items. There are areas within areas, and each scene is beautifully drawn with wonderful appropriate music throughout. Perhaps the greatest challenge, and one that everyone should know about, is that there are no skips for the minigames. Although they are doable, some may find it too challenging if your memory isn't so good. Many of the minigames are memory challenges and some require quick movements because they are timed or change too quickly for some tastes. I'm lousy at rotation puzzles and the one had me stuck for a good long time but I eventually got it. A great feeling of accomplishment followed and this is one game that will definitely make you feel good when you overcome these challenges. This is a good long game providing several hours of challenging fun and is well worth checking out. Rated 5 out of 5 by arnold1049 from BETTER THAN THE FIRST This game is a big improvement over the first one in this 4-part series. The first game is Time Paradox, the third is Secrets of Spooky Manor and the most recent is Crimson Thief. Mortimer finds himself in a kingdom that has lost its benevolent king and is being ruled by a usurper to the crown. The crown and its powerful jewels are also missing. 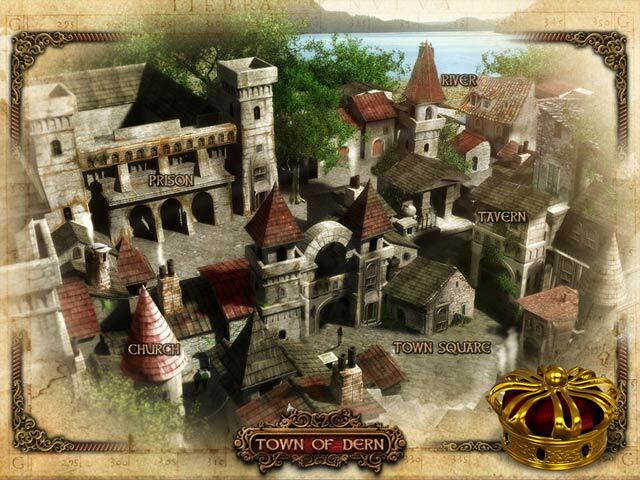 Mortimer must find the jewels to restore the power of the crown and maybe, in the process, find the lost king. 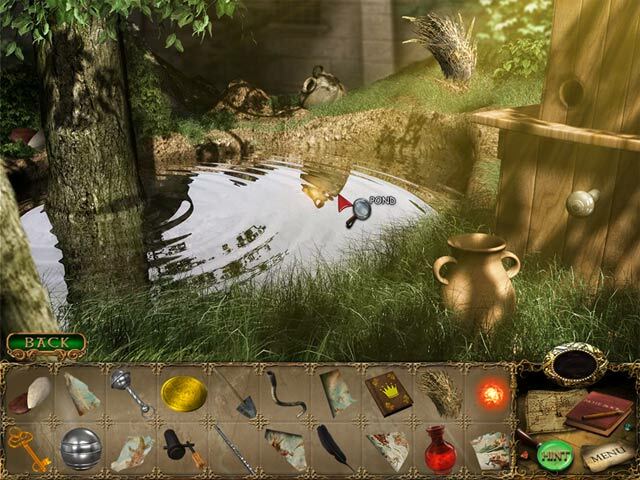 Each area of the kingdom contains several locations for finding objects and using these objects to complete various tasks. There are no list type/garbage pile HOS. Minigames also need to be completed in the area before the pieces of the jewel are reunited. Once the jewel has been restored, that area is finished and Mortimer moves on to another area/jewel. The graphics are colorful and bright. The storyline is light-hearted and Mortimer resembles the cowboy in Toy Story. There is a lot of reading; talking to various characters, reading about objects and how they can be used, and hints of various types. There are no voiceovers. The hints recharge very quickly. I completed 2 areas and found 2 jewels during the demo. I think there are 8 areas/jewels in total. This is a great game that I'm looking forward to finishing after I purchase it. Rated 5 out of 5 by mojitomomma from Great games Lovely coincidence. I went looking on BF for Mortimer Beckett games a couple of weeks ago - no love. That had me considering joining another game club. So glad to see BF now has several. Thanks. FYI: If you haven't played any Mortimer Beckett give them a try. Nice HOG with the addition of some strategy...how to use what where, etc. Lots of fun. Rated 4 out of 5 by annabelle55 from Excellent....but frustrating. First the good stuff. This game is unusual, challenging, amazing. I love searching for things, looking for clues, going from place to place with lots of cool puzzles. It's amazing! BUT. I very rarely can get past one particular puzzle and there are others which take a great deal of time and work. They aren't fair. The hardest is a puzzle in which two aces have to be found in fifty cards or more which are laid out in a rectangle. Then in the space of about a second or two they flip over like dominoes beginning at the top. And they flip back over as soon as they have revealed themselves for a microsecond. It's like a wave. You can hardly follow the cards as they flip much less register what they were. It is horrific and so frustrating. I think the creators of the game should either slow it down just a tad or have an option to have the cards move just a bit slower. There is no way to make it easier. One player said she put her finger on the screen when she saw the first one, but I would try to move my finger to mark the spot and the cards were done flipping. And my finger was poised right over the screen! The other challenges were the lit patterns which have to be copied. It is no exaggeration to say they make 8 movements in about a second or a second and a half. I can see the beginning 3, then if I'm lucky the last 2 or three. For the remaining 2 or 3 I am forced to guess. It's not right to have these sorts of puzzles. No amount of intelligence or practice can help. I have rather poor eyesight and to say it's frustrating doesn't really express it. In conclusion, I can't possibly recommend not to purchase this game. It's wonderful, and unique and so fun!!! But be prepared for the puzzles I mentioned. Rated 4 out of 5 by neonette from Nice Game, but beware the bug! I really enjoyed the game, as it was different to the usual HOS games. The card scene is easy enough if you simply put your finger on the screen where the aces are :-) Unfortunately, there's a bug in the game: after I collected all gems I entered the throne room and collected the feather neccecary to unlock the secret room. But. alas, I entered the code before and so the game ended there, showing me all scenes are complete. So for all of you who are about to play it: DO NOT ENTER THE CODE BEFORE YOU COLLECTED THE FEATHER! Rated 2 out of 5 by dehawk from mirror challenge No skip on minigames. Mirror challenge not enough time. Rated 2 out of 5 by Baywolfe from How old is this game? It runs WAY too fast. It was annoying how fast the cursors would spin, but manageable. However, now I'm supposed to guess where the two aces are and the whole tableau gets laid out in about two seconds. This game runs like it was made for a 386. Disappointing I can't even finish it as I will never get past the aces puzzle. Rated 2 out of 5 by bep1 from Outdated style This was so outdated that I didn't like it at all. Sorry. Mortimer's homebound journey continues in Mortimer Beckett and the Lost King, the thrilling new chapter from the much beloved and award-winning hidden object series!